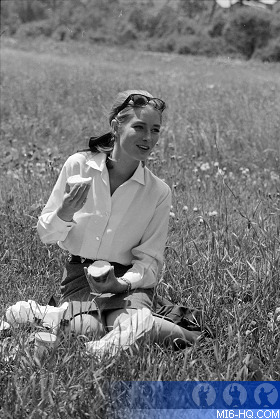 Born of a millionaire father and a Russian mother on 19th May 1941 in Blackpool, England, Tania Mallet received her schooling in both France and England. Her mother Olga was Russian but was born in England and had been a beautiful chorus girl. Her father was a successful English car salesman named Henry Mallet. They divorced and Olga married her second husband, a con man named George Dawson who was in prison for three years for committing fraud. Olga's older brother is actress Helen Mirren's father, making Tania and Helen first cousins. She joined the Lucy Clayton school of modeling in London and soon became one of Britain's most famous models at the age of 16, her photograph appearing in Vogue and Harpers on several occasions. 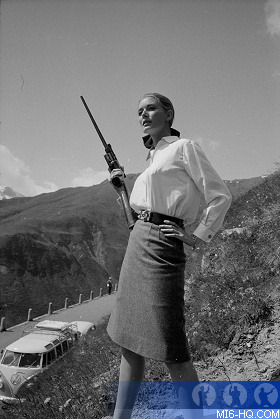 In 1963 she was considered for the role of the lead Bond girl in 'From Russia With Love'. 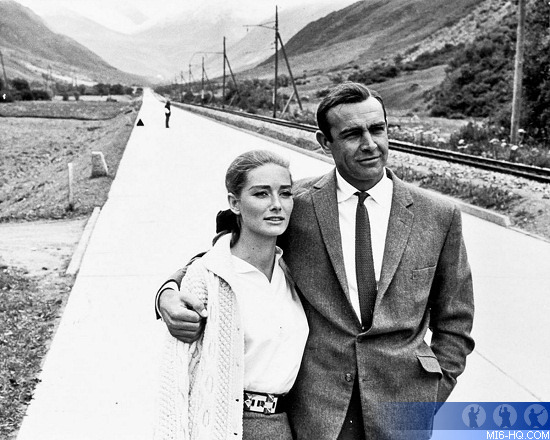 Even though she was half-Russian, her provincial English accent deemed her unsuitable for the role of the Russian love interest, so she lost the role to Daniela Bianchi - Connery's choice. Bianchi would be re-dubbed in the film by Barbara Jefford, making the issue with the accent redundant. Mallet would land the role of Tilly Masterson in the follow-up adventure, 'Goldfinger'. It was an experiment for Mallet, as she was earning £2,000 a week as a model. "The money was dreadful," she told MI6 back in 2003. "Originally I was offered £50 per week which I managed to push up to £150, but even so I earned more than that in a day modeling so the six months I worked (or was retained to work) on Goldfinger were a real sacrifice." Although she enjoyed working on the film and had only good things to say about Connery - "Sean was wonderful to work with a complete professional, humorous, polite and above all remarkably generous to work with" - Mallet immediately returned to modeling and left her fledgling big screen career. "It was not difficult to go back to modeling," she explained. "Filming had been an interesting experience but I was always more comfortable in a small studio with just the photographer and his assistant. Besides which, the restrictions placed on me for the duration of the filming grated and were dreadful and I could not anticipate living my life like that. For instance, being forbidden to ride in case I had an accident not being allowed to go abroad, etc..." Her time on the film was also affected by the death of her long-time boyfriend. 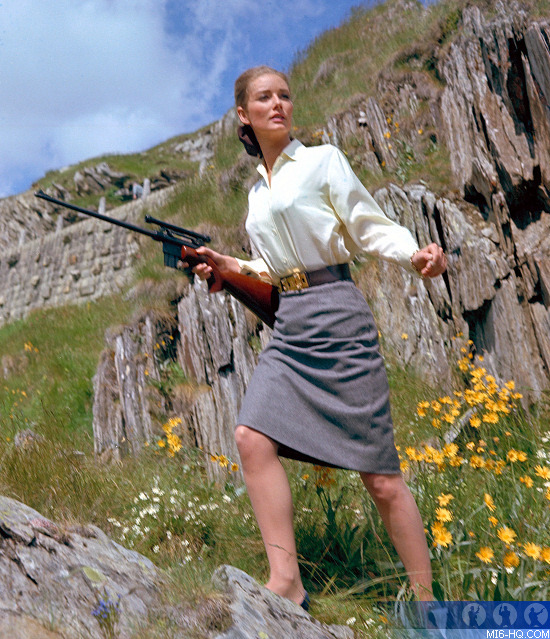 Tania Mallet's acting career was as glorious as it was short-lived. If an actress could choose only one film to star in, she could do a lot worse than Mallet, whose fame as a model led to her only big-screen appearance as Tilly Masterson in 1964's Goldfinger, possibly the best-known Bond films of all time. The Lancashire born lass chose not to use her newfound stardom as a springboard to greater heights, refusing further roles to concentrate on her work as a model. After such a career-high, who could blame her? 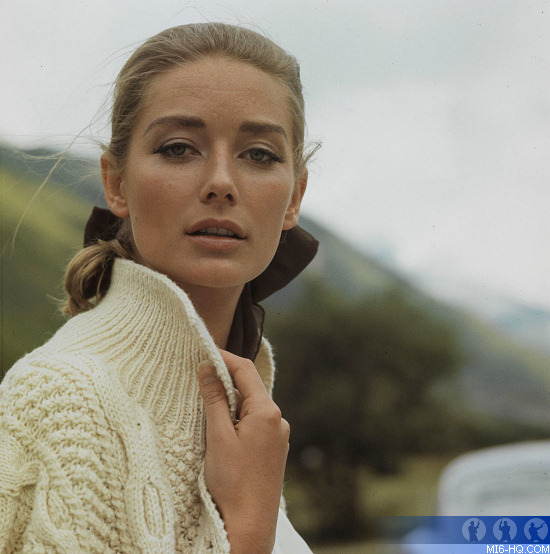 Tania Mallet passed away in England on Saturday 30th March 2019 in England at the age of 77. She is survived by her step-children from her late second husband Simon Radcliffe. Dame Helen Mirren remembered her cousin in a tribute published by People magazine. "I was very sad to lose my cousin Tania this week. Tania was my aunt Olga’s daughter, and my sister [Katherine “Kate” Mirren] and I grew up with her. She showed her Russian heritage in her very beautiful bone structure and eyes, that made her into one of the top models of the early 60s. However she was never vain, but a kind and generous person who used her model earnings to put her half brothers through school. She was a great optimist and always looked on life with positivity. "The first visit I ever made to a film set was visiting her in a night shoot on the set of Goldfinger, where she joined the exclusive club of Bond Girls. I will always remember her laughter and the best porcini risotto I have ever tasted she made from porcini she found by the side of a golf course in Sussex (our Russian grandmother taught her how to look for mushrooms.) My sister and I will miss her very much."